After you have finished changing a tire on your Tire Machine, you sometimes may find that the jet blast system on the tire changer cannot seat the bead of the tire on the rim. There’s just not enough air. That’s where the ESCO Cyclone tubeless tire bead seater comes in. It supplements the existing jet blast delivery system on your tire changer. It’s a common complaint among wheel service technicians when it comes to particularly large wheels. The jet blast just doesn’t supply enough air for the tire to inflate rapidly enough to seat the bead. When this occurs, you need a supplemental air tank that has an effective jet blast delivery system that will shoot a large and rapid blast of air into those hard to inflate tires. The ESCO Cyclone tire bead seater is the perfect addition to any tire shop. It is balanced perfectly, lightweight and easy to handle. It has a 5 gallon ASME tank and a gauge that’s easy to read. It’s nozzle is designed perfectly to deliver the maximum amount of air, where you want it, when you need it. The specially designed butterfly valve opens up faster than a traditional ball valve. Now there’s no tire that’s too tough for your shop. If you have a high volume tire shop, then you may be a candidate for a high end touch-less Tire Machine. These make your technician’s life a breeze. Many even feature a a wheel lift built in so your tech doesn’t need to lift the wheel onto the turntable. These machines are essential for PAX and Run Flat tires. If your technicians don’t have to lift heavy wheels all day, this could pay dividends in the way of reduced injuries and workers comp. claims. Features that some techs may have a preference for would be tilt tower instead of the swing arm style tower. The swing arm swings to the side when you are placing the wheel onto the turntable, while the tilt tower tilts back out of the way allowing you greater room to place the larger rims onto the turntable. While this is a desired feature, there is a drawback to it. Because it tilts back, it requires you to pull it further away from the wall, meaning that you’ll need to dedicate more floor space for it. If your garage has limited floor space, this may be a feature you can do without. Another choice is air electric, or air only. The trend is tilting strongly toward air / electric because an air only model limits your ability to reverse the turntable if it gets jammed during operation. Jet blast delivery systems for seating the bead are also a reason for decisions. Many modern machines integrate the air jets into the jaws that clamp onto the rims on the turntable. We’ve seen a new trend recently that appears to be more reliable. It involves having the air tank feed a single large nozzle through a hose allowing the technician to deliver the air blast with more precision, assuring more of the air is delivered where you want it. The fully automatic Tire Changers have advanced features like joysticks to control functions, and CCD cameras to view operations underneath the wheel. We’ve sure come a long way! These features may seem complex and they do scare away some shop owners who think they’re too difficult to master quickly, but we’ve found they aren’t that difficult to comprehend in a reasonable time frame. They always come with a detailed owner’s manual, phone support, and some even come with an instructional video. There is a myriad of models and manufacturers to choose from. Factors to help you choose which manufacturer would center on price, warranty and service, along with parts availability. Some manufacturers have not been around as long and may prove to be difficult to obtain parts from five years from now. Another consideration is service. Does the warranty cover parts only, or labor as well? This post gives you food for though if you are currently on the market for a new tire changer. Hopefully, it has shed some light on what features to look for when making your decision. Almost every auto shop has a Tire Changer. There are many different types of tire changers with differing features. It can be as simple as a manual tire changer, or as complex as a high end full featured automatic touch-less tire changer. And there’s everything in between. Your choice will be determined by your budget and volume of tires that you are changing, along with the types of wheels that you typically encounter. Some auto shops may never see a low profile tire, while others may specialize in them. The number of tires you typically change in a week is vital information to determine which tire machine to get. You certainly aren’t going to get an expensive full featured model if you only change a few tires a week. It would take a decade to justify the expense. 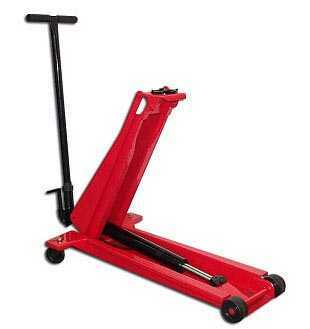 Most garage owners will purchase a standard rim clamp tire changer. It gets the job done in an efficient and effective way and does so at a reasonable price. The old center post tire machines were good in their day, but are not recommended for today’s modern wheels. If you don’t want to damage expensive alloy wheels, you had better get a rim clamp model. Very few manufacturers even make a center post model anymore, although there are a few holdouts, because there are still some old-timers out there that are reluctant to change. The next decision is whether to get a model with a mounting helper arm. If you see low profile tires with any frequency whatsoever, it would be well worth it to get one of these models with this feature. If you don’t, and you damage one set of expensive alloy rims, you just lost more money than the mounting helper arm would have cost you. By the same token, why turn away the business? If you can bring in new business by handling jobs that other shops in your area cannot, you just brought in a new revenue stream that can be a gold mine. It seems every kid with a $200 pair of sneakers these days also has to have flashy expensive wheels with low profile tires. And some auto makers are also offering more options as well. These machines will have plastic duckheads and rim clamp covers to protect the expensive rims also. You are currently browsing the archives for the Tire Changers category.